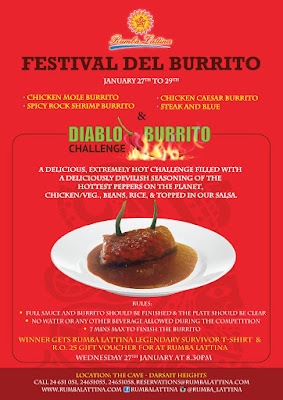 Home / Competitions / restaurants / Do you have what it takes for the Diablo Burrito challenge? 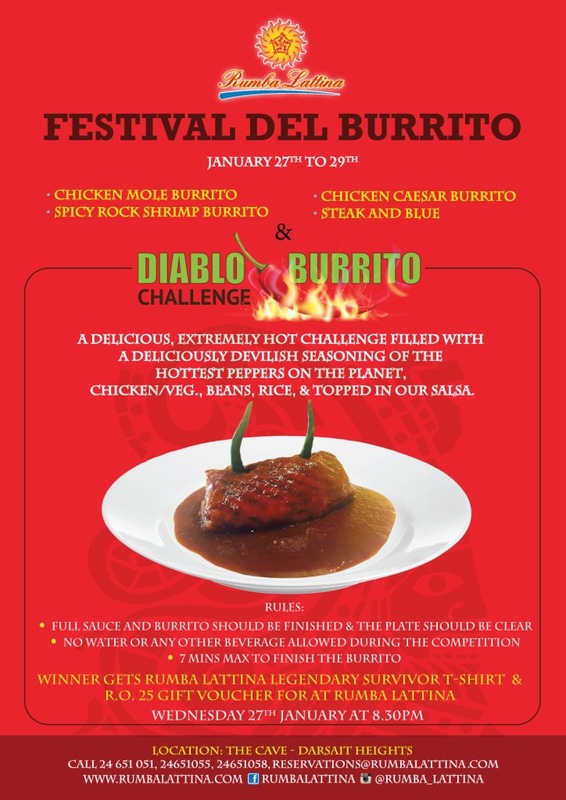 Do you have what it takes for the Diablo Burrito challenge? Tomorrow night, as part of the 3 day Festival del Burrito at the Rumba Lattina restaurant at the cave, there is a challenge for anyone who thinks they can handle the heat. Eat the burrito and all the sauce in less than 7 minutes, and no drinking anything is allowed. If you can do it, you win a RO 25 gift voucher and a T shirt. Otherwise, the Burrito festival lasts until the 29th of January.